When Strife of Interests Masquerade As a Contest of Principles. 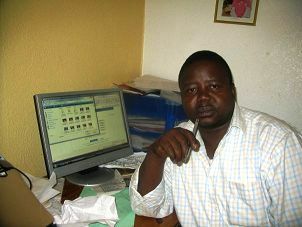 The last general election in Sierra Leone was one of the most memorable ones in recent memory. This was largely thanks to a lot of precedents set, following the outcome of the much debated process. It is no secret that the outcome may have been a surprise for many reasons. In reality, the results were just a matter of time, as the writing was already on the wall; that the APC will lose the elections. Those with eagle eyes saw it from far. For starters, the APC party won the 2012 by the slightest of margins. Considering that Ernest and the APC were on a crest of a wave, his popularity was sky high, as he could do no wrong at the time; it was difficult to see why the projected APC landslide in the 2012 polls did not materialise. But as we all know, Ernest’s 2nd term in office was not all plain sailing, as it was littered with a lot of scandals, including the Ebola, mudslide and Hajj and bus gates, to name but a few. The negative publicity was definitely bound to have an impact on the APC’s chances. Another factor that may have played into the hands of the SLPP was the creation of satellite political parties that had mushroomed as scions of both the SLPP and APC; namely the NGC and C4C respectively. Interestingly, both parties were led by politicians dyed in APC and SLPP DNAs. Chief Yumkella and Sam Sumana both broke away from their parties to “form their own”; though enmeshed in different circumstances. One was pushed and the other jumped. But since the inception of their different parties, it was understandable that both had “protest party” written all over them. 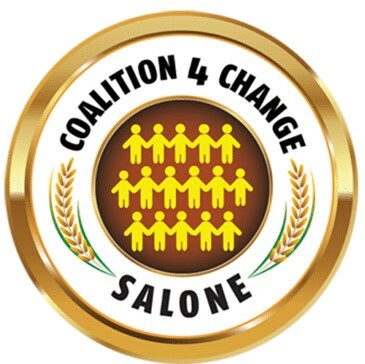 Sam Sumana formed the C4C when the APC kicked him out of its circle; giving credence to the notion that “in politics, there are no permanent friends but permanent interests”. As for Yumkella, the widely held opinion was that he broke away because he could not get the coveted trophy; something Maada Bio had made his life’s purpose since he discarded his army tunics. Now you know where the “PAOPA” came from. But as we all know, politics does not determine who has the truth, but who has the power. Fast forward to the election, and our country was “blessed” with a 3rd way. As precedents go, APC became one of, if not the first political party in opposition with a majority. Sandwiched between our traditional APC and SLPP parties were the NGC and C4C. To the neutral voter, this could only be good for democracy. The hope was that with the presence of both NGC and C4C, our country will have a constructive and vibrant opposition in parliament. We had all hoped that these new kids on the block will serve as buffers for the excesses that we have traditionally come to see between the APC and SLPP political relay. It’s unquestionable that the APC engaged in political excesses; which saw our constitution translated, transliterated, and manipulated because of the sycophancy of the modus operandi. If truth be told, much of that free hand was given to the APC by the absence of any meaningful opposition from the SLPP. 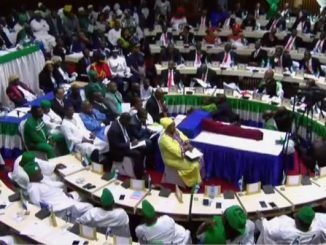 To all intents and purposes, Sierra Leone was governed by one party politics; thanks to the comatose position of the SLPP at the time. There is no running away from the fact that our political landscape is facing the threat of a gridlock between the 2 main political parties. With these 2 political giants engaged in a staring contest, it begs the question: Where are C4C and NGC? There has been a deafening silence from these 2 parties. The hope that these 2 parties will rise to the occasion seems to have fallen flat on its face; and that can only be disappointing. As our country tithers on the brink of chaos, it is beginning to feel like C4C and NGC are not fit for purpose. Many would have expected them to at least stand up for something. Sadly, they seem to fall for anything. 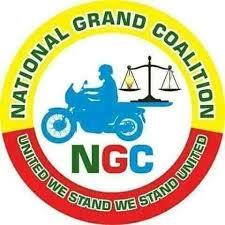 During the runoff elections, NGC came in for a lot of unfair criticism because it did not throw its weight behind any of the 2 heavyweights (SLPP & APC). 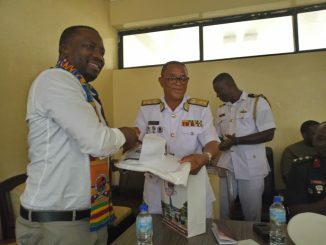 In principle, while most of us supported the stance of the NGC for its non-aligned position during the run off, reports were doing the rounds that Sam Sumana was toying with the idea of throwing his hat behind the APC. Nothing came of the rumours in the end for obvious reasons. So where is the 3 way? What is the 3rd way? Why have NGC and C4C gone so silent in our time of need? The silence from C4C is not surprising, considering that Sam Sumana had recently kissed and made up with his former party and his in-laws. Hey, one does not take a fire fight to his in laws. During the last campaign season, there were many commentators who believed that C4C and NGC were one season wonders. It was mentioned in some quarters that both parties lack the stamina to last the season; and that if they do survive it, both will fizzle out after the election results. Some of us did not only contradict such assertions, but gave very good reasons why these parties were not just another harmattan fire. But if the current situation should continue with their selective muteness, it will become increasingly likely that NGC and C4C will be conspicuous by their irrelevance to our day to day politics. But if NGC and C4C think that they are numerically too small to make a difference, they should try sleeping with a mosquito. But now that the Commission of Inquiry (COI) has landed as a mosquito on our political testicles, we should all find the best way to kill it and resolve our national issues without violence. Some people call it the Law of the land. 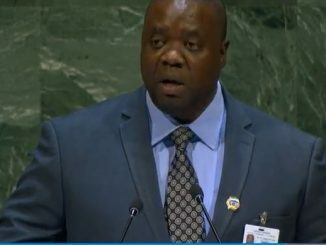 The government has stated that the COI is about the misappropriation of finances during the last political cycle. The question now is: which should our politicians serve best; country or party? Loyalty is a good quality, but in excess, it fills political graveyards. The expectation is that we should always give our loyalty to our country, and to our government, when it deserves it. The loyalty to a party should end where loyalty for a country begins. Political loyalty and public service are strange bedfellows. As a nation, we are now faced with a choice. What we have now is a test of the loyalty of the law making power to the executive power. Many people will say that the Commission of Enquiry has been hijacked as a tussle between the APC and SLPP. So where does that leave the “other” opposition parties? Why are they so silent about the matter? Opposition should be seen as true friendship. The APC may have plausible concerns about the COI. But is ignoring the invitation to participate in the COI, the best way to convey those concerns? There are people who are already accusing the APC of inciting violence. This assertion has not been verified, but will the APC take responsibility for any such outcome? By taking such a stance not to participate in the COI, “until certain conditions are met”, does the APC run the risk of being seen as a party that is refusing to accept defeat? We know that anyone can deal with victory, but only the mighty can bear defeat. Since the inception of the COI, there have been reports of other members of the public who have been invited and interviewed by the Commission. 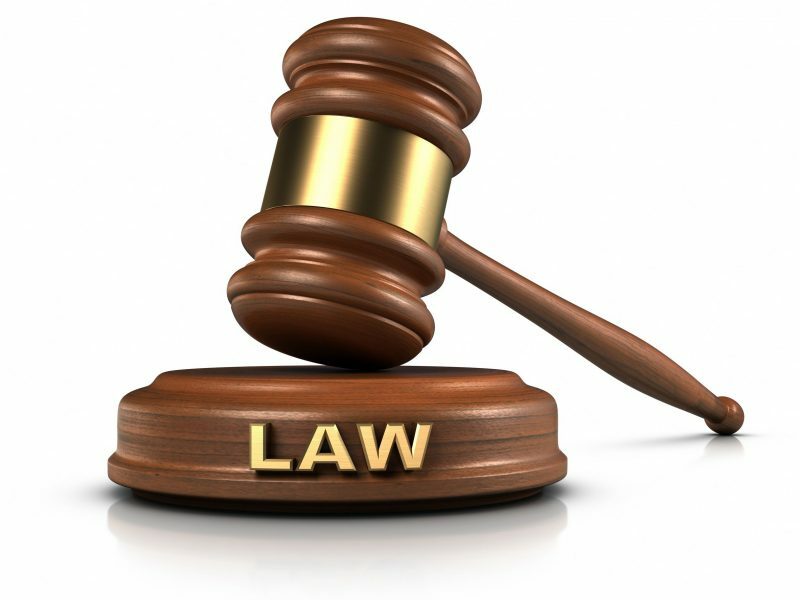 Reports have it that the majority has made out of court settlements. 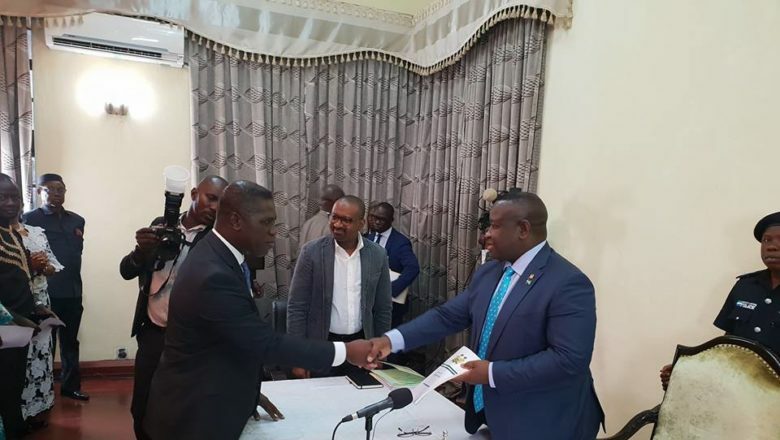 The ACC handed over Le 5.4 billion to the government (thesierraleonetelegraph.com-30/10/18). This was followed by another headline, “ACC hands over Le 7.5 Billion of Public funds stolen by officials to President Bio” (29/12/18). The NRA stated that it collected a record Le 400. Billion in taxes last September. These are all good news to the average Sierra Leonean. If others have owned up and repaid or made arrangements to repay, what is so special about those trying to use constitutional gymnastics to gridlock the process? Are they an endangered species that require the protection of UNESCO? Like I have always maintained in my pieces, we are all for a free, fair, transparent and a just process. We abhor any process that will favour a particular group or creed. If the Bio government cannot oversee a COI that is free from injustice, we may as well pack our bags and go home. But what strikes most of us is that the inception of the COI was passed with the blessing of the parliament. The APC is the majority party in the parliament. So where was the APC when this bill or whatever you call it was passed? Was the APC party hypnotised at the time this was passed and agreed in parliament? If the party wanted to argue or contest the COI, is that not the reason why a building was situated at Tower Hill, and called PARLIAMENT? By the way, if Sierra Leone needed any lessons on the constitution of the country, I wonder if the APC will come top as Professor Emeritus. The COI is a national concern and interest. It goes over and beyond any political party. Neither the APC, nor the SLPP should use, abuse or mis use it as a bludgeon, a shield, or an insurance policy for party political capital. To all intents and purposes what seems to pass here as politics, is nothing but strife of interests masquerading as a contest of principles. We cannot conduct our public affairs for private advantage. 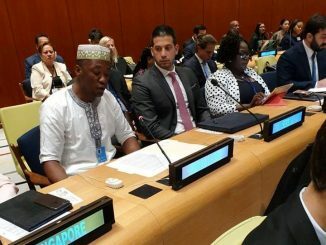 Sierra Leone and Sierra Leoneans cannot, and should not be held hostage or used and abused as bargaining chips in this unfortunate saga that is unfolding. We need some grown up politics here, and if this cannot be guaranteed, remember that THE WORLD IS WATCHING; FOR THE PURPOSES OF ADULT SUPERVISION. Say hi to NGC and C4C, if you’re lucky to see them. Betrayal is the only truth that sticks.